Welcome Mr Little welcomed members and visitors to this first ordinary meeting of the OGC 2016/17 session. Fire drill procedures and housekeeping rules were explained and all mobile phones were requested to be silent or off. Mr Little advised that if we were experiencing adverse weather on OGC Ordinary Meeting dates to check with Adelaides on 0141 248 4970. Should the Directors decide to stand down a meeting, Adelaides will be informed and the information will also be posted on Facebook and the Club's Website. Apologies: There were apologies from Joyce McNae, Petrina Cairns and Aileen Kelly. Minutes: At this point we normally would have the Minutes approved from last April's Ordinary Meeting. Due to external circumstances these Minutes will be made available at a later date during the 2016/17 Session. "The first was on Thursday May 19th when we had an evening visit to Rouken Glen Park by an Ex Glasgow Corporation double decker bus. Due to a very wet evening, which only let up for a brief time, the majority of us stayed on the bus at Davieland Road and we enjoyed a brief talk by one of the Park Rangers who had kindly agreed to speak to us. Refreshments were provided by Joyce and were very much appreciated". "The annual outing of the Club was on June 11th, to Culzean Castle. Again, a very wet day was spent wandering round the grounds and touring the Castle. A stop at Ayr on the way home provided us with time for a meal or snack, depending on your appetite and we were back at Cochrane Street before 8.30pm". 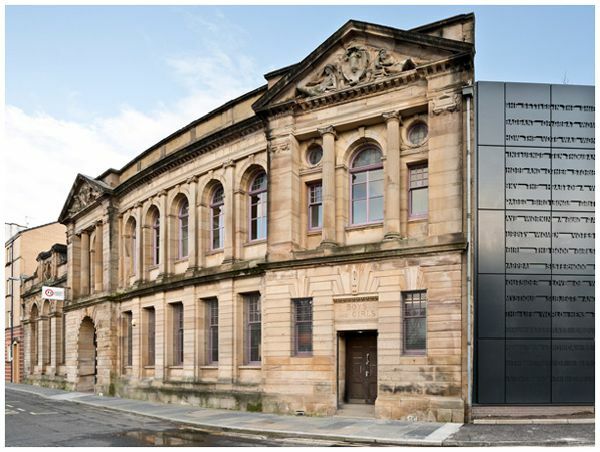 "On the 11th August, I visited the temporary premises of the Glasgow School of Art which is located in the former Whisky Bond at Dawson Road, Port Dundas. The Art School archives contain many photographs and documents on the architecture of the City. A special display was available on the work of George and Cordelia Oliver who were prolific photographers and painters in the 20th Century, especially Glasgow Street scenes.George also illustrated motorcars for publications etc, and produced art work for the Scottish Omnibuses Group Companies". "These archives are available to view by contacting the Glasgow School of Art and arranging an appointment. Jocelyn Grant is the contact and the phone number is 0141 566 1418 or via the Glasgow School of Art Website". "Doors Open Day Festival in Glasgow starts on Monday 12th and runs until Sunday 18th September. There are a few booklets available at the desk for anyone who wants to browse through the numerous venues. Some of these places are by booking only and by past experience, places go very quickly". Secretary's Report: Mr Little asked if members had looked through the slides of exhibitions and forthcoming events on the screen that Club Secretary, Joyce McNae had prepared. OGC new website is now up and running, responding to mobile and tablet devices. Please have a look. Mr Little informed us that tonight's talk was on Mary Barbour, and, if like him, you have never heard of her except in passing that it would be a most interesting talk. He introduced Dr Catriona Burness, historian and researcher and Maria Fyfe, Chair of The Remember Mary Barbour Association". Dr Catriona Burness told us how delighted she was to be involved with the Remember Mary Barbour Association. We were told that Mary Rough (Barbour) was born 20th February 1875 in the weaving village of Kilbarchan, Renfrewshire. The third of seven children and died 2nd April 1958, aged 83 at Southern General Hospital. 28th August 1896, Mary Rough married David Barbour at Elderslie and lived for a short time in Dumbarton. On 17th October 1897 their first child, David, born a few months after their marriage, died of meningitis at the age of 10 months. When looking through old records we noticed that three children in the same street had also died of meningitis. This loss is likely to have shaped her deep interest in health and housing issues. In 1901 the Barbour family moved to Govan and two more sons are born. "She first became politically active after joining and becoming an active member of the Kinning Park Co-operative Guild (University for working class women). 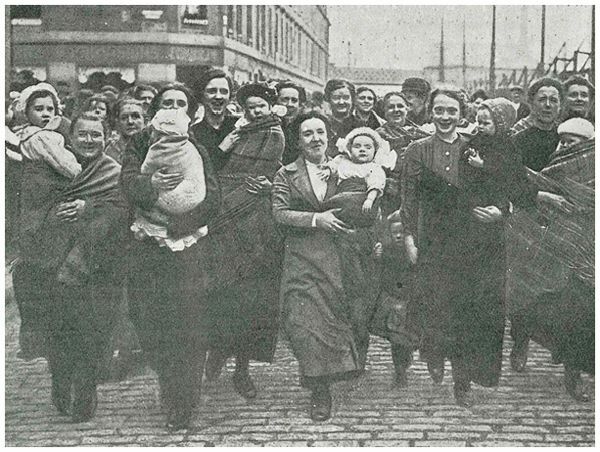 Her political activism began in earnest during the Glasgow rent strike of 1915, when she actively organised tenant committees and eviction resistance. Willie Gallagher dubbed the rent strikers "Mrs Barbour's Army". The government of the day could not withstand the pressure and by the end of the 1915 the Rent Restriction Act was in place. The rent strike's place in history was assured". "In 1920 she stood as the Labour candidate for Fairfield ward in Govan, and was elected to Glasgow Town Council, becoming one of the city's first woman councillors. Until her retirement from the Council in 1931, she worked relentlessly on behalf of the working class of her constituency, serving on numerous committees covering the provision of health and welfare services, and led campaigns for free school milk, children's play-parks, municipal wash-houses and Glasgow's first family planning clinic. From 1924-27 she served as Glasgow Corporation's first woman Bailie and was appointed as one of the first woman magistrates in Glasgow". Maria Fyfe tells us that it wouldn't have been that unusual three years ago to never have heard of Mary Barbour. Maria used to be a member of a socialist choir, one of it's songs was "Mary Barbour's Army". It sings about the rent strike but doesn't talk about her life afterwards. This intrigued me as I was familiar with others who were leading social reformers but not Mary, I wanted to find out more. I was in the Pearce Institute when we decided to set up the Mary Barbour Association. "Direct and forthright, Mary Barbour was a strong, energetic and convincing campaigner who helped to make the world a different place from the one that was in war-torn crisis in 1915. We should remember and commemorate her and the Remember Mary Barbour Campaign aims to raise a statue in her memory". 2015 and we were looking for sculptors to come forward with their ideas, a shortlist of between four and six being sculpted into a maquette. We had 30 applications, many of them awful! We got it down to 6, then 5 because one of the statues would be out with our budget. The Mary Barbour Five shortlisted sculptors were Andrew Brown, Mark Longworth, Kenny MacKay, Roddy McDowall and Morag McLean. We were looking for public opinion so the maquettes were made available for the public to view on-line and on tour. They could be seen at Elderpark Library, Riverside Museum, Fairfield Heritage Centre, Wheatley House and the Scottish Parliament. The selected sculptor, Andrew Brown was announced from the stage at the Glasgow Gala Concert in February this year. Andrew is about to start on the full scale statue which will be situated at Govan Cross. We are hoping that it will be revealed at International Women's Day on 8th March 2017. Maria thanked us for listening to herself and Catriona and we were invited to ask them any questions we may have. Q How many children did Mary Barbour have, was it just the 2 boys ? A Three boys, two surviving and one dying at ten months. Q Does Mary Barbour have any descendants ? A There are no living descendants, the line died out about ten years ago. I have, however had contact from the other side, the Rough family, some of whom had moved down to Wales. Q Maria and Catriona, could you please tell us where you can donate money to the Mary Barbour Association ? Q Where was Mary residing when she died ? A Mary died in hospital with her husband dying a few months before her. She was still staying in Govan. Q Where is Mary buried ? A Mary's funeral was at Craigton Crematorium in Govan. Q You are both obviously impressed with Mary Barbour but how was she thought of at the time by her neighbours, locals etc. Was she well thought of or is it only retrospectively that she's well thought of ? A Her obituary mentions "women voluntarily took on hand to do the housework of Mrs Barbour to enable her to devote herself fully to the service of the people", enabling her to get on with her role as Councillor. That to me speaks for itself. Q Thanks very much for your very informative talk tonight. My wife and I have just put in an offer for a house in Kilbarchan so I hope this is a good omen. Mr Little said that Mary Barbour was a lady very much of her time and the future whom we would welcome with open arms and a cup of tea were she to come in. Stuart introduced OGC Director, Anne White to give the vote of thanks. Anne said, "I'd like to thank Maria and Catriona for their talk. I've known about Mary for 50 years as I've lived in Govan and I work at Govan Old Parish Church.My father told me about Mary Barbour and I've read about Mary Barbour so I've loved tonight's talk. You brought her to life and it's been like watching a documentary. Thank you so much". Mr Little apologised for not introducing OGC Director, Brian Henderson earlier in the evening and invited him on to stage to speak to the members. "Good evening Ladies and Gents, for those of you who don't know me, my name is Brian Henderson and I am a past president of the club. This evening marks the 40th Anniversary on the 9th September of my first Old Glasgow Club talk. I'd like to pay tribute to the late Mr Bill Gallone who was Treasurer of the club when I joined.Bill and I worked very closely in the 70s and into the 80s, when I was Secretary and he was Treasurer. I owe him a great deal of gratitude in terms of my self development.He died January 1986, in his 80th year, his 30th Anniversary was January past. He is greatly missed". Mr Little thanked Brian and reminded members that hadn't already paid that subscriptions are due for the 2016/17 session. Next Directors Meeting - October 6th, 6.15pm at Glasgow Unitarian Church, 72 Berkley Street. Next Ordinary Meeting - October 13th, 7.00pm for 7.30pm at Adelaides, Bath Street. Mr Little welcomed members and visitors to the October meeting. there would be a post on the Old Glasgow Club website and Facebook page. There were apologies from Margaret Thom, Anne White, Maureen McRobb, Eileen Campbell and Petrina Cairns. seconded by ?? There were no amendments or matters arising. President's Report : No President's report this evening. OGC new website is now up and running for those of you that haven't seen it. "It's designed to be mobile friendly. new site, meantime if you need anything from the old site just click the 'link to the old website' button. 'Alphonse Mucha IN QUEST OF BEAUTY' runs from 8th October - 19th February 2017 at Kelvingrove. per cent of the 9,000 strong collection being redisplayed, with basement stores open to the public for the first time. Visitors will also benefit from a new learning space and improved cafe and retail opportunities. 150 bedrooms, a ground floor restaurant and retail space, as well as a publicly accessible rooftop bar. restoration project costing £3.4 million has just been completed on the bridge by Glasgow City Council. Samson, let me introduce him, he'd like to say a few words to us. around 10.30am then please pop in and see us at The Bridgeton Library, Olympia Building. is, it's between Rutherglen and Dalmarnock, near the bridge over the Clyde. sculpture, print, video and public art. inhabitants were deer, badgers and otters. has been fenced off and left in it's natural state as a safe haven for the animals. the outline of a rabbit. cowp for the city. 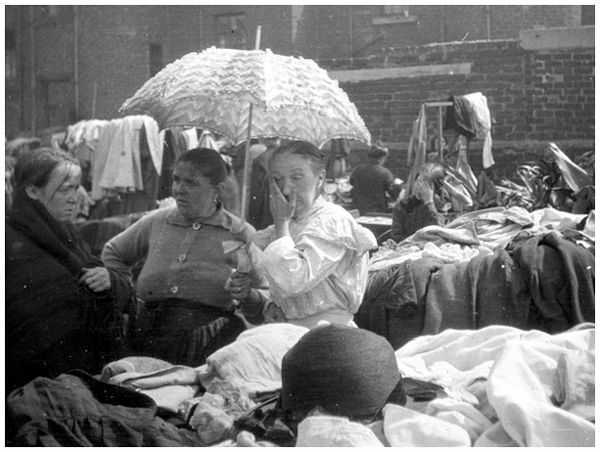 The dump had been used for the disposal of the old Gorbals that was demolished in the 1960s. local naturalists and brave dog walkers. soapstone and getting engaged with the process and the story behind the process. Scotland to progress with a permanent public art project for the loop called 'The Cunningar Stones'. letters sometimes being bunched together when running out of space. The finished stones were returned to the 'Loop' one year later and we are shown lots of informative photographs. fenced to protect the 20,000 new trees, 30,000 shrubs, 40,000 planted bulbs from the deer. Q Hello, I am interested in the geological side of things, the fossils. You mentioned sandstone ? to represent the salmon in the River Clyde. Q Are the pumps Samson and Goliath in a museum ? were the largest and most powerful. Q The photograph we saw of a castle, what castle is it? A The castle in the photograph is Farme Castle. Sadly, it was demolished in the 1960s. Q Do you have any idea the size of the area, as in, how long it would take you to walk round ? round too. It takes around an hour if you follow the paths. there and had been using it. As what, I don't know but I did find lots of empty cans there, like Tennents !! Q Can I ask you, outwith the Cunningar Loop, what is the oldest and most valuable piece of red sandstone ? stands on. The oldest red sandstone in Scotland would maybe have come from the Dumfries area. Q Back to the Cunningar Loop, is it right down to the river ? river. From here you can see on the opposite side of the river the Clyde Walkway and Cycle Path. why, it's people going to the Cunningar Loop. Obviously it's been a great success". has now become". So, a big thank you to James for tonight's wonderful talk. September meeting". We'd like to offer condolences to his family and friends. Next Directors Meeting - Thursday 3rd November, 6.15pm at Unitarian Church, 72 Berkley Street. Welcome : Mr Little welcomed members and visitors to the November meeting and thanked them for coming out on such a cold night. Fired drill procedures and house keeping rules were explained and all mobile phones were requested to be set to silent or turned off. Mr Little advised that now the weather had changed for the worse, members and visitors should be thinking about contingency plans should there be adverse weather conditions. If you have any doubt about a meeting taking place, please phone Adelaides on 0141 248 4970. Should the Directors decide to stand down a meeting, Adelaides will be informed and there will be posts on the Old Glasgow Club website and Facebook page. Apologies : There were apologies from John McKnight, Sallie Marshall, Alastair Ross, Simon Brown, Alison Sannachan and Petrina Cairns. Minutes: The minutes of the last ordinary meeting, held on 10th November were approved and proposed by Jim Russell and seconded by Cameron Lowe. Amendments and Points Arising: A heartfelt apology from Recording Secretary for the autocorrect misspelling of our recently deceased, loyal member of many years, Jim Rainham. This has now been corrected. Vote of thanks last month was given by Bill Crawford and not Bill Henderson. This also has been corrected. There were no points arising. President's Report: Mr Little tells us that the Steamer, TS Queen Mary has returned to Glasgow for the first time since 1977. She will be wintering at Glasgow Science Centre after being towed from Greenock. There's been a fresh bid to gain listed status for the historic Sir John Maxwell Primary School in the Pollokshaws area. It has been lying empty since 2011. Gaining a listed status would give some degree of security to the future of the building. Let's hope they succeed. Mr Little asked "hands up who likes porridge"? We may be ahead of ourselves but the 2017 OGC suggested outing will be to 'The Devils Porridge Museum' at Eastriggs near Gretna. It's a great museum about HM Factory Gretna which provided munitions for troops fighting on the front line. It's a good time to visit, with WW1 exhibition running until 2018. After the museum visit we would be heading to Dumfries for our High Tea / early dinner, in a vintage bus that we are hoping will take us there. Secretary's Report: Joyce McNae says "isn't it nice to be thinking of a Summer outing on a night like this" and talks us through the slides that have been circulating on the screen prior to tonights talk. As previously mentioned, the new OGC website is up and running. Please have a look if you haven't already done so as we're rather pleased with it. We continually tell you about Glasgow website www.whatsonglasgow.co.uk, but there's also a whatsonrenfrewshire.co.uk, a whatsonlanrkshire.co.uk and even one for whatsoninedinburgh.co.uk. 10.30am and a two minute silence will be observed at 11am. There's also an Armistice service taking place in George Square on Sunday, 13th November. Members of the public wishing to attend should gather in George Square at 10.30am. The two minute silence will be observed at 11am at the cenotaph. 10.00-15.30. Entry is free and all are welcome. Glasgow Christmas Markets are on from 10th November - 22nd December in St Enoch Square and 26th November - 29th December in George Square. The listings for the numerous festive shows, shopping and events information can be found at glasgowloveschristmas.com. As usual, lots going on in and around Glasgow's galleries and museums. 'Burrell at Kelvingrove : Joseph Crawhall' runs until July 2017 and 'Alphonse Mucha : In Quest of Beauty' runs until 19th February, to name two. As always, up to date information on current and upcoming exhibitions and events can be found at gla.ac.uk , www.glasgowlife.org/uk and peoplemakeglasgow.com . Speaker: Mr Little introduces tonight's speaker, Mr Peter Samson. Peter is going to tell us about "The History of Watt Brothers". Peter thanks Stuart for his introduction and tells us that he is a consultant for Watt Brothers and is going to tell us the story of the company from 1800s - 2016. "My job was to drag Watt Brothers into the 21st Century, with their centenary in 2015 in mind. The store had expanded and there was a need to get a website up and running and have a strong social media presence." Apparently at one point there were 40 independent stores in Glasgow, Watt Brothers are the only one remaining in Sauchiehall Street. The store is now on it's fourth generation, Willie Watt MD joined at 15 years old and is now 49. He is the great-grandson of store founder, Allan Watt. In the late 1800's Allan Watt, son of a family of Lanarkshire farmers, started a small drapery shop in Elmbank Street to augment the family's declining income. He specialised in selling ribbons and lace. Willie Watt says that he was apparently frugal (read tight). When Willie's Dad, Allan was getting a penny from is Grandpa Allan, it would be given in a clenched fist! 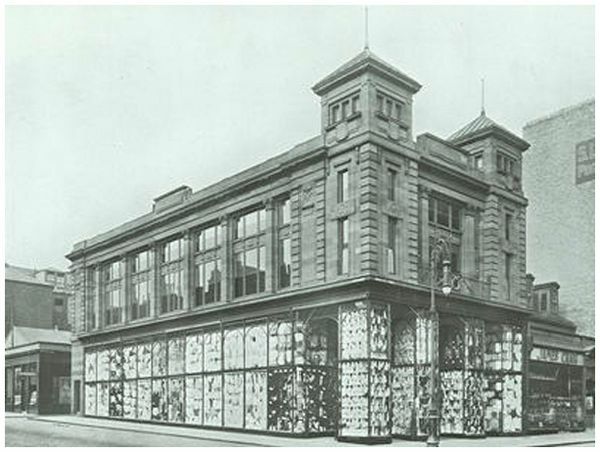 In April, 1915, during the First World War, Watt Brothers becomes a limited company and the business moved into the iconic store on the corner of Sauchiehall Street and Hope Street. It was of an era when department stores were designed as places where customers shopped in an atmosphere of luxury. High fashion was the company's staple product and customers flocked to the store for the latest in everything from lingerie to ball gowns. 1929 and a significant extension, with plans drawn up by architects firm Keppie and Henderson (of Charles Rennie Mackintosh fame). The store now boasts six floors that are primarily packed with fashion. The walnut panelling, magnificent ceilings and shop displays made the store a must-visit place for any fashion forward follower of fashion. 1939 and Watt Brothers founder Allan Watt died suddenly aged 73. His son, William takes over the business. A most difficult time to run a business with the Second World War having an impact on business. Government intervention saw their wool supply company taken over to manufacture for the war cause. 1948, Allan, the current MD's Dad took part in the London Olympics, running in the 400 metres relay. He was described in the press as 'Olympic hope among the nylons'. Allan was a major force in driving the business forward in the 50's, 60's and 70's. 1950's, a new Watt Brothers shop opens in the Glasgow suburb of Clarkston. Meanwhile, the Glasgow store extends its fashion into the bridal wold and a stand alone fashion house, Jean Patou is launched in store. A major fashion show attracts big names from all over Europe, it made big headlines and the company's slogan was changed to "Famous for Exclusive Fashions". 1960's and the following decades saw other stores open in Lanark, Ayr, Livingston, Hamilton, Falkirk, Irvine, Robroyston, Clydebank and the latest in Port Glasgow 2016.. The current number of stores is 11, Willie has a target of 16. 1993, current owner, Willie Watt, takes over the role of managing director at the age of 26. In 2006 he became sole owner of Watt Brothers after he bought out his siblings.. He has a new vision, is enormously shy but enormously hands on. Willie was sole buyer for the stores until 18 months ago. He has expanded the stores from purely fashion to offering a more varied and interesting stock of brands at reasonable prices. Brands such as Rieker, Pringle, L'Oréal, Lindt, Calvin Klein, Glenmuir, Remington, to name a few. 2014, Allan Watt, the third generation owner and father of Willie, the current owner died, aged 92. The newest innovation at Watt Brothers has been the opening of the Willow Tea Rooms on the third floor at Watt Brothers, Sauchiehall Street. Over the years the third floor has been a hairdressers, cookware department and luggage department. Willow Tea Rooms stripped it back, opened up the windows, recreated the Mackintosh tearooms and brought the third floor back to it's former glory. Watt Brothers, a quiet unassuming company, now on social media, has a website, got 11 stores and has a likely turnover of £25,000,000 this year. It's single most bestselling item is wool, the company sells 1 million balls of wool a year. What does the future hold apart from the target of another five stores and a knitting/crochet club in the tearooms....could it be a 5th generation of Watts in the form of another Willie or a Hannah. Peter thanks members and visitors for listening and invites them to ask questions. Q Is the Willow Tea Room only a temporary thing ? A Don't think so as the Willow Tea Rooms seem happy where they are. Hopefully it will continue for quite some time. Q. How did the partnership with the Willow Tea Rooms with Watt Brothers come around ? A Willie and Anne of the Willow Tea Rooms were introduced to each other by a mutual friend. They had a conversation and so the Willow Tea Rooms at Watt Brothers, Sauchiehall Street came to be. Q The wool answered my first question of what is the shops best selling item. Can you tell me what the second bestselling item is ? A Perhaps knitting needles ! Kidding aside, I'm not really sure but I would think that it would be a beauty product. We have a huge demographic of appeal and shopper range from approx 14-90 years old. Of a Saturday morning you can see a lot of teenagers buying brand name beauty products at value prices. Clothing is still also a very important seller, golf-wear, knitwear etc. Our most requested product online is slippers, but they are really only stocked October - December. What's also interesting about the wool , we run Facebook competitions which I was a bit doubtful about at first. I posted one for a £50 wool voucher and the response was incredible. Q You said it was father, son, grandson, great-grandson. Were there other family members involved for it to be called Watt Brothers. A I'm not sure about that, but I think there must have been brothers about at some point to warrant the name. What I do know is that Willie bought out family members, a sister being one and became sole owner in 2006. Q Did I read somewhere that the Company own the premises in the City Centre ? A Yes, they do, and I think that has been a significant factor in being able to run and expand the business for all these years. Q Have Watt Brothers benefited from the sad demise of B.H.S ? A It's difficult to tell but I'm sure they probably have to some extent. Q What happened to all the big lumps of beautiful furniture that was in the store as fixtures and fittings. A There's a huge labyrinth of rooms behind the scene that have an old safe, large tables and big, old pieces of furniture. That could possibly be them. Q When they get to the 16th store do you think they would go as far east as Edinburgh ? A Willie is good at choosing premises and if the correct premises came up then, who knows. Both Edinburgh and Stirling have been talked about. Q Was the building built for the 1915 opening or was it an existing building ? A Good question, I'd need to find out about that. I do know that Sir Hugh Fraser tried to get Willie's father, Allan to come and be chief buyer for House of Fraser. Allan seriously considered it but when it became apparent that Sir Hugh wanted the Watt Brothers Sauchiehall Street store it was not negotiable. The family hold the store dear. It's quite ironic that House of Fraser is now owned by a Chinese company and that Watt Brothers is still family owned. Q Why use Facebook over other mediums ? A Facebook has a far reaching circulation and for a fee you can reach a large amount of people in your area. For instance, a recent Facebook competition we had reached 230,000 people. A local newspaper like the Daily Record has a reach of approximately 160,000 people. Q. Why, and what do you do on social media ? A It's not a heavy sell thing that we do on Facebook, we use it more as a social platform. For instance, we'd post about this talk I'm giving here tonight, stories about people that work for the store, the development of the Willow Tearooms. Social media is a pretty hungry beast, constantly needing updating with store news and new information. Q This is more of an observation that a question. Stores like Watt Brothers used to have chairs dotted about for the elderly or weary shopper. Stores don't have them anymore ! A Yes, things have certainly changed. Patricia Fraser's Mum (daughter of Sir Hugh) talks about the days when there were no gowns out on display in Watt Brothers. You spoke to an assistant, they assessed you and they would decide what they were bringing out for you to try on. Q What type of techniques do you employ to turn a question into a sale. To make people make that decision now ? A Willie goes online to check the pricing, he's very aware that people use search engines to check the cost in several places,p so the pricing is always competitive. Watt Brothers knows that online retail appeals to people, but there are still lots of people like myself who like to go into a shop to browse and compare. You only have to be in town around 3pm on a holiday Monday or Saturday afternoon to see that town is buzzing. It's a social thing, a coffee, a bite to eat and a shop. A Willie focuses on the business and employees. In the Lanark store there are actually third generation employees. Willie is a committed workaholic, you'll not find him on a yacht in the Med, you're more likely to see him at the Wind Farm in East Kilbride. Vote of Thanks: OGC Director, Colin McCormick gives tonight's vote of thanks. "It is an absolute pleasure to thank Peter for his entertaining and informative talk. I think you can tell the quality of a talk by the amount of questions that are asked, I thought they'd never end ! I worked in a butcher shop and I have a vivid memory of my Gran marching me to Watt Brothers for my Damart thermals. Let me thank Peter in the way we know best, with an OGC membership and a big round of applause". AOCB: Stuart asks us to spare a thought for those involved in yesterday's Croydon tram disaster which resulted in seven fatalities and at least 50 injured. It is the first tram disaster in the UK since Glasgow, 1959 when the 23 tram ran into a lorry which had been straddling the tram lines, resulting in three deaths and many injured. Stuart wishes us all a safe home and looks forward to seeing us at next months talk, 'Glasgow Womens Library - The Making of a National Treasure' by Adele Patrick. Next Ordinary Meeting - Thursday 8th December. Doors open 7.00pm for 7.30pm talk at Adelaides, Bath Street. Welcome : Mr Little welcomed members and our four visitors along to the last meeting of 2016. The fire drill procedure and house keeping rules were explained and all mobile phones were requested to be turned off or to be on silent. Mr Little advised that now we were coming into Winter, members and visitors should be thinking about contingency plans should there be adverse weather conditions. If you have any doubt about a meeting taking place, please phone Adelaides on 0141 248 4970. Should the Directors decide to stand down a meeting, Adelaides will be informed and there will be posts on the Old Glasgow Club website and Facebook page. Apologies : There were apologies from Isabel Haddow, Dorothy Blair, Maureen McRobb, Ronnie Knox, Sallie Marshall and Cath Wallach. Minutes : There was one amendment to the November minutes. It should have read "The minutes of the last ordinary meeting, held on the 13th October were approved and proposed by Jim Russell and seconded by Cameron Lowe" and not "10th November" as written. The minutes of the last ordinary meeting, held on 10th November were proposed by Sam Gordon and seconded by Brian Henderson. Secretary's Report : President, Stuart Little read out OGC Secretary, Joyce McNae's report. A reminder was given to visit the OGC's new website, which responds to your mobile device and is up and running, thanks to the technical wizard at the back of the room. Suggested destination for the 2017 club annual Summer outing is to 'The Devils Porridge Museum' at Eastriggs, near Gretna and then on to Dumfries for our High Tea/ early Dinner. It's a great museum about HM Factory Gretna which provided munitions for troops fighting on the front line and it's a good time to visit, with WW1 exhibition running until 2018. OGC merchandise desk was at the back of the room tonight, being manned by club director Anne White. There's information and stocking fillers available from £1. 'Burrell at Kelvingrove : Joseph Crawhall' runs until July 2017 and 'Alphonse Mucha : In Quest of Beauty' runs until 19th February. Up-to-date information on current and upcoming events can be found at gla.ac.uk, www.glasgowlife.org/uk and peoplemakeglasgow.com. Glasgow Christmas markets are running until 22nd December at St Enoch Square and 29th December at George Square. Speaker: Mr Little told us that it gave him great pleasure to introduce Adele Patrick, 2015s Evening Times Scotswoman of the Year to talk to us about "Glasgow Women's Library : the Making of a National Treasure". Adele is Lifelong Learning and Creative Development Manager at the library. Stuart wondered if appropriate titles in the women's library could be '50 Shades of Lipstick', 'Olivia Twist', 'Davina Copperfield' or 'Harriet Potter'. Adele told us that she is absolutely delighted to be here and so thankful for everyone coming along tonight. Adele, originally from Yorkshire, came to Glasgow as a 17 year old student, about 35 years ago to study Textiles at Glasgow School of Art. Although it was a wonderful city that gave her the warmest of welcomes, it was a very different city to today's city, it was a very masculine city. "There were things that were triggers for me joining the GWL - Mid 1980's and thinking how can we represent Glasgow, present it to the wider world in a positive light. It seemed difficult to believe that Glasgow could be a cultural beacon as the European City of Culture in 1990". The press had latched onto the visual arts and came up with "The Glasgow Boys". We thought that maybe we should start thinking about the girls ! We were totally ambitious, thought we "Women In Profile", set up in a little lane in a backstreet at Garnet Hill (a period before internet) would represent Glasgow women. We knew if we didn't do something, the representation of Glasgow 1990, when the city was on a world stage, would be the pale, male version. During 1990 we had visits from specifically women's libraries. Nurnberg Women's Library had up to date technology and encouraged us to have and collect women's books etc, and, because we are twinned with Nuremberg. GWL opened its first premises on 21st September 1991 in Garnethill, having developed from 'Women In Profile'. Our first premises had a fug of roll up cigarettes and dog ! In 1994 GWL moved to 109 Trongate, Glasgow City Centre to accommodate increased collections, learning activities and user numbers. By 2004 an extra floor had to be rented at 109 Trongate to accommodate all the extra events and ongoing projects. 2006 saw relocation to temporary premises at 81 Parnie Street. 2008 and GWL was awarded funding to create an archive room at the Mitchell Library. GWL stayed at the Mitchell Library until we moved into our premises at Bridgeton 3 years ago. City Council and Clyde Gateway. There was a shortfall of funding so GWL came up with the idea of 'Women on the Shelf', for individual donations to allow anyone to honour a woman special to them by dedicating a shelf or Library section in their name. The renovation project has now been completed, with an events venue that can accommodate 100 people, dedicated archive space, a learning space and a mezzanine floor. Nicola Sturgeon relaunched the library in November 2015 and coined the phrase "Glasgow Women's Library is truly a national treasure". "We are not just a library, we are an Accredited Museum and we work with an incredibly diverse group of people. Unlike a lot of libraries and museums, we have risen from grass roots". "As well as a lending library, we hold a wonderful treasure trove of historical and contemporary artifacts and archive materials that celebrate the lives, histories and achievements of women. From Suffragette memorabilia and 1930s dress making patterns to rare 1970s Scottish Women's Liberation newsletters, it's all here". "Learning is at the heart of what we do: we deliver over 200 innovative events and activities across Scotland every year, from film screenings to guided walks and core programmes including our Adult Literacy and Numeracy and Black and Minority Ethnic Women's projects". At present there are around 100 volunteer staff (for the first seven years it was all volunteer staff) and 25 staff. "I do hope that the Women's Library is a place that you will feel comfortable coming to visit, it's like the Old Glasgow Club, we offer tea and cake. If you aren't able to visit but use social media we are on twitter under GWLhearsme. Little did GWL know that their humble grass roots library with unfunded resources and voluntary staff would turn into a unique, well respected, multi-award winning national organisation and the only Accredited Museum dedicated to women's history in the entire UK. Q. Yes, Adele, I think I speak for all of us in saying that was a wonderful and informative talk. Two things, you are the Evening Times Scotswoman of the year award and The Women's Library is successfully up and running and an accredited museum. What would you consider your bigger achievement ? A Thank you for your kind feedback, I feel that I have the best job in the world. I had a moment when there were more materials than would fit back in my old flat and that changed things. I was very pleased when it did. Also, when we were recognised as having a significant collection, that made me enormously proud and also when you get feedback. One that stands out is one woman who started off developing her reading and writing skills which resulted in her giving an address to the First Minister. Q The word recognised / accredited, who accredits ? A Museum Galleries Scotland is given the roll from the Scottish Government to give accreditation. I'm learning more about it as I've now joined the board at Museums Galleries Scotland. It's a rigorous process the museums have to go through to fulfil the requirements for the Accreditation Scheme. Q It's quite the very important system of accrediting bodies that give accreditation to engineers etc. It gives confidence when someone/ someplace have been accredited ? A In the UK there are a few women's libraries, but they are either embedded in academic institutions or the libraries are still very much grass root organisations, so they divide into two types. On our 25th anniversary we had a very decent piece written in the Guardian newspaper about us. When looking through the comments afterwards we noticed comments from the The Women's Library, which is now housed in the London School of Economics. "Why Glasgow", and a note saying that we were not the only accredited women's library in the UK. We told them they had lost their accreditation when they merged with the London School of Economics. So, at the moment we are the only accredited women's library in the UK. Q You say you are mainly self funded, where does the money come from ? A Well, the Heritage Walks which we have developed in other parts of Scotland is partially funded by the Scottish Government. Mixing the Colours, our work on women and sectarianism was funded by the Scottish Government and has developed into work against hate crime. Our Adult Literacy and Numeracy Project is funded by local Government to name a few. We also receive grants from Heritage Lottery Fund, Creative Scotland, Museums Galleries Scotland, Glasgow Life, South Lanarkshire Council. When we first started out we felt quite vulnerable as we didn't have funding in place, it's great that we now have an array of different funders for our dedicated projects. Q You've been very much about the women's aspect of women in your library, do you have any men's books ? A Yes, we do, but they are books about women written by men. We unashamedly showcase women. Occasionally we might highlight men. For instance, we have an upcoming event on 27th January 2017 called 'Herland : Burns Night/ Woolf Supper, because Virginia Woolf and Robert Burns share the same birthday. Vote of Thanks : "If Adele would allow a male President to give the vote of thanks. We come here every meeting to hear and learn and we have learned a fantastic amount tonight that I didn't know about. Like Haggis going to Russia, about artists and writers in a safe and encouraging environment, to name a few. You've presented it to us in a passionate and exciting way, so in true OGC fashion let's thank Adele." AOCB : The annual OGC Christmas raffle numbers were drawn by club Director Niall and prizes were distributed by club Director Colin. Next Ordinary Meeting : Thursday 12th January. 'Ingrid Shearer - Glasgow Markets'. Doors open 7.00pm for 7.30pm at Adelaides, Bath Street. Close : Mr LIttle thanked the Directors who had donated the prizes for tonight's raffle and on behalf of himself and Directors, wished club members and visitors a Merry Christmas and a Happy New Year. Sadly, this meeting was cancelled due to severe weather warnings broadcast and publicised in the few days before the meeting. The directors had to take the decision well in advance and, in the event, the warnings didn't come to fruition and the weather was just ordinary "west of Scotland, January dreich!". The good news is that the topic has been rescheduled into the 2017 / 2018 syllabus. Welcome: Mr Little welcomed everyone along to the first meeting of 2017 and apologised for the cancelation of the January meeting due to inclement weather. The fire drill procedure and house keeping rules were explained and all mobile phones were requested to be turned off or to be on silent mode. Adelaides on 0141 248 4970. Should the Directors decide to stand down a meeting, Adelaides will be informed and there will be posts on the Old Glasgow Club website and Facebook page. Apologies: There were apologies from Molly Crichton, Colin McCormick and Ian Frame. Minutes: The minutes of the last ordinary meeting, held on 8th December were proposed by Margaret Thom and seconded by Iain Henderson. There were no amendments or matters arising. President's Report: There was no President's report this evening. Secretary's Report: We've had a few new subscribers tonight for the club minutes to be sent electronically via email. Just a reminder if you wish to have them sent to you before the next meeting to give your email address at the sign in desk. If you haven't already done so, please visit the OGC new website. It is up and running and designed to be mobile friendly, available on your phone, tablet, laptop and PC. J.A.S. Memorial Walk, Thursday 18th May: Destination will be confirmed at the next meeting. Tappit Hen Bowling Tournament, Thursday 1st June: this bi-annual event will take place at Kelvingrove Bowling Greens with refreshments (to be confirmed) afterwards. It is free to play on the greens. Names are being taken at the front desk now. You don't have to play and are more than welcome to come along and spectate. Summer Outing to Devil's Porridge Museum, 10th June: The cost of the coach trip and entry to the museum is £21.00 and £20 for concession, respectively. Unfortunately it has not been possible to obtain the use of an older bus for this trip due to a journey of this distance not being suitable for this type of vehicle. We will be stopping in Moffat on the way home. Hopefully we will have a High Tea option available for you by the March meeting. Names are being taken for the trip at the front desk now. Speakers - "A Night to Remember"
Stuart tells members and visitors that as it is our annual 'members night', it will be a different format to our usual 'ordinary meeting". Tonight, assorted club members and Directors are going to entertain you on the happenings of 1957 from the comfort of our studio setting on the stage. He invited members that had their backs to the stage to turn their chairs around. Introduction: Club Secretary, Joyce told us "The year is 1957 and there is quite a change in the air." "The National Health Service is still in its infancy, Queen Elizabeth 2nd is five years into her reign, Harold MacMillan becomes Prime Minister and Buddy Holly recorded "That'll be the Day". Closer to home a few babies were born that would have an impact on politics in Scotland. Iain Gray and Johann Lamont of the Scottish Labour Party and Fergus Ewing of the SNP. I mention them in chronological order - not necessarily in preference. Leaving politics aside and moving to football - Gordon Strachan was born in 1957 - in Edinburgh. In fact today is his 60th birthday. Happy birthday Gordy. And it is a 60th Anniversary that gave us the idea for the theme of this evening. 31st August 1957 was the opening night for Scottish Television with a show "This is Scotland." The Club Directors thought this would be a good subject for our Members Evening tonight, entitled "A Night to Remember." John Logie Baird, born in Helensburgh in 1888, attended Glasgow University, was a prominent pioneer of television. In 1927 he transmitted moving pictures from London to the Central Hotel in Glasgow. The home for Scottish Television - STV - was to be the Theatre Royal in Hope Street. So two good Glasgow connections. Naturally there is a massive amount of history linked with Scottish Television and that could have been our entire subject for the evening. But, we thought we would like to highlight some other landmarks of Glasgow in 1957. As such we have contributors to come up to the mic through the evening. All are club members and will be covering transports, the mass radiography campaign, one or two poems and songs. What the Old Glasgow Club was up to in 1957. We have a quiz with prizes. This will take place during the commercial break when refreshments will be served to your table. If you've not already done so, could you make sure you have filled in the refreshments order for each table. Before that we have lots to get through. We have tried to re-create the look of a current magazine programme from STV. September 1957 was the start of the "One O'clock Gang." Described as a show of comedy, music, interviews and information for viewers. It made stars of Larry Marshall, Dorothy Paul, Jimmy Nairn - father of chef Nick - and Charlie Sim. Writing such a show every day meant that the quality was perhaps not always there, but as Larry once declared: "If you don't like 28 minutes of it, but enjoy 2 minutes of it, then I've done a good job." Today if there is a live episode of Casualty, Eastenders or Coronation Street, it is trailed for weeks to build up the anticipation. The One O'Clock Gang was the first daytime variety show of any commercial station in Britain and went out LIVE, running for 1,760 daily programmes each weekday until 1966. We are LIVE here tonight, having had no dress rehearsal so please bear with us. First on - Two people who need no rehearsals. We are very fortunate that two of our members - Cilla and Artie - have had a long association with STV and although not quite 60 years, they are going to share a few memories with us this evening. So folks, if you remember the phrase..."Sit back and relax, the the "One O'clock Gang" or rather the "Quarter-to-eight Gang!" STV: Club members Cilla and Artie gave us an entertaining insight and background as to how they got involved with STV, along with photographs and video clips along the way. Their first appearance was "House Call", 2.00pm - 2.30pm on 11th May 1978. To appear on STV they needed to become equity members. Always extras and somewhat typecast, usually the couple in the bar in "Garnock Way" (late 1970s) and "Take the High Road" (ran from 1994-2005). The only exception being when Artie was a reporter in one of the High Road episodes. Cilla and Artie started singing children's songs in 1990 which resulted in ITV commissioning "Singing Kettle" for five series from 1995 to 2000. STV have been very supportive throughout their careers but especially with their children's shows. In fact, even though they retired in 2013 STV Glasgow have been showing "The Singing Kettle" in the morning from 8.10am-8.20am. "We've gone from a couple of appearances a year to being on television every morning. Thanks to STV for your support over 41 years." Cilla and Artie finished their talk with their reverse number song 19 to 1 / 20 to 0 in English, German, Italian, Dutch and Finish. The members just about managed the song in English but left the other languages up to the professionals. Mass X-Ray Campaign: Club Director, Bill gave us a very informative and interesting insight to the anti-tuberculosis Xray campaign that took place in Glasgow on the 11th March over a five week period in 1957. The campaign was a huge feat of organisation and advertising, with over 700,000 people being screened at 37 mobile units, a much higher response than had been anticipated. Bill had images of the crowd of around 10,000 people gathered around George Square where a temporary pavilion had been erected, housing some of the X-ray units. Poem: "The Glasgow That I Used to Know" by Adam McNaughton, was read out by club member and director, Anne. Transport: Stuart, club president, gave us an informative insight into Glasgow transport by reading out the 1957 Annual Report, presented to the Corporation each year. It gave us a snapshot of the Transport Department, along with a few relevant images from that year. Total passengers carried in 1957 - 623,550,559. Total Revenue for 1957 - £9,823,467. Number of Trams 881, Buses 824, Trolleybuses 95, Underground Cars 50. Commercial Break: A break for tea, coffee and snacks popular in 1957 that were served to each table - Colin's Clootie Dumpling, Wagon Wheels, Penguin Biscuits, Digestive biscuits and Salt & Shake crisps. Each table was given a copy of the quiz which consisted of 10 musical questions relating to hits in 1957. When completed, they handed their quiz to the adjacent table to mark. A big well done to the one table who got 10 out of 10! Everyone at the table received a small prize. Poem: "Clootie Dumpling" (poet unknown), was read out by club member and director, Gaynor. Quite apt and a homage to the wonderful clootie dumpling we had just eaten at the commercial break. Song and Close: club member, Iain H tells us that "Song of the Clyde" composed by Ian Gourley, was the hit of the year for Kenneth McKellar in 1957. Iain gave us a wonderful solo rendition of "Song of the Clyde" and encouraged everyone to join in at the chorus. Vote of Thanks: Stuart asked "how do you follow that" and hoped that everybody had enjoyed their trip back in time to Glasgow 1957. He also took the opportunity to thank all the behind the scene workers and contributors that enabled tonight's meeting to happen. Next Directors Meeting - 2nd March, 6.15 at Hutcheson Grammar School, 21 Beaton Road, Glasgow. Next Members Meeting - 9th March, 7pm for 7.30pm at Adelaides, Bath Street. Mr Little thanked everyone for coming along and wished all a safe home. Welcome: Mr LIttle welcomed members and visitors to the March meeting. Mr Little advised members to still be aware of contingency plans should there be adverse weather conditions. If you have any doubt about a meeting taking place, please phone Adelaides on 0141 248 4970. Should the Directors decide to stand down a meeting, Adelaides will be informed and there will be posts on the Old Glasgow Club website and Facebook page. Apologies: There were apologies from Isabel Haddow, Dorothy Blair, Petrina Cairns, Cath Wallach, Alistair Ross and Brian Henderson. Minutes: The minutes of the last ordinary meeting, held on 9th February were approved and proposed by Glen Collie and seconded by Jim ?? Members were reminded to sign up for emails if they would like to receive them electronically before the next meeting on April 13th. AGM: The Club's AGM is at Glasgow City Chambers, 11th May at 7.00pm. Members were advised that it is a 7.00pm start, and not 7.30pm like the OGC ordinary meeting. Entrance to the City Chambers is from Cochrane Street. J.A.S. Memorial Walk, Thursday 18th May: "The Cunningar Loop," Dalmarnock is the destination for this years walk. James Winnett, who spoke to us at the October meeting is going to lead us on the walk. Tappit Hen Bowling Tournament, Thursday 1st June: this bi-annual event is taking place at Kelvingrove Bowling Green, with optional refreshments afterwards (venue to be confirmed). It is free to play on the greens. Names are being taken at the signing in desk now. You don't have to play and are more than welcome to come along and spectate. Summer Outing to Devil's Porridge Museum, 10th June: The cost of the coach trip and entry to the museum is £21.00 and £20.00 for concession, respectively. Names are being taken by Margaret at the signing in desk. There is also an optional High Tea booked for 5.00pm at The Stag Hotel, High Street, Moffat. The cost is £8.95. Names are being taken by Shona at the coffee/tea table. Secretary's Report: Mrs McNae advised us about events and happenings of interest for March, and beyond. "Burrell at Kelvingrove: Joseph Crawhall" runs until July 2017 and "Frank Quitely: The Art of Comics" starts on 1st April at Kelvingrove Art Gallery and Museum. Up-to-date information on current and upcoming events can be found at glasgow.ac.uk, www.glasgowlife.org/uk and peoplemakeglasgow.com. Horrible Heidie Tours of Scotland Street School. Join this interactive tour and find out what school was like in the old days! Taking place on the 12th and 26th of March. Ayewrite festival runs from the 9th - 19th March this year, with 200 authors taking part in 3 different venues. J. David Simons, who spoke to us at the club in February 2009 about his novel, "The Credit Draper", is speaking on the opening day. More information and brochure of events can be found at ayewrite.com. Botanic Gardens are having a free Book Fair this weekend, 11th and 12th March, 10.00am - 4.30pm. There will be a large selection of books, old and new. Tesco Bags For Help Initiative - "Friends of Glasgow Necropolis" would appreciate your vote, if you shop at Tesco, and live North of the River Clyde. "The Friends of Glasgow Necropolis" is one of the groups on the shortlist and are raising funds for path improvements within the Glasgow Necropolis. Voting is open in stores throughout March and April. Customers will cast their vote using a token given to them at the check-out in store each time they shop." BBC "The Replacement". Mrs McNae urges those of us that haven't been watching to try and watch it on catch up. Apart from being a good watch, it is set and filmed in Glasgow. Great to see so many of the city's locations, Hutcheson's Hall, the City Chambers, Merchant City, Dennistoun and the West End, to name a few. A reminder was given to visit the OGC new website, which responds to your mobile devices and tablets is up and running. Speaker: Mr Little said that we have come to the main reason that we are all here tonight, "Here are My Mountains, here is my Glen," and invites Glen to the stage to give us his talk, "Flights of Fancy." Glen thanked Stuart, and said that he was giving a more traditional introduction than the one he gave us at his previous talk, "The Anchor Line." Early Aviation in Scotland, and we were introduced to the early pioneers. John Damian de Falcius, the alchemist to James IV, having failed to make gold said that he was going to fly from Stirling Castle. He created a set of wings made from chicken feathers, and, in September 1507, he pretty much went straight down into a dung heap and broke his thigh bone. He blamed his inclusion of chicken feathers, and not having exclusively used eagle feathers as his failure to fly. James Tytler 1745 - 1804, a Scottish apothecary and the editor of the second edition of Encylopedia Britannica. Wearing only a cork jacket for protection in his 40 feet high and 30 feet wide balloon. On 27th August, his balloon rose to a height of some 300 feet, travelling for half a mile from the edge of Holyrood Park, Edinburgh to Restalrig. Mr Tytler indicated that it was an enjoyable flight. It was the first balloon to carry a passenger, in not only Scotland but the UK, and predates Lunardi. Lunardi, not only a balloon but also a type of balloon shaped bonnet and balloon shaped dress. Vincenzo Lunardi, called "The Aeronautical Daredevil of the 18th Century", made a number of flights around the UK in a grand hydrogen filled ballon. The balloon comprised of some 1500 feet of green, pink and yellow silk, and was exhibited, in its floating state in Glasgow Cathedral, for the admission charge of one shilling. On 23rd November 1785, a large crowd had gathered in St Andrew's Square, Glasgow to see Lunardi's balloon take off. It was successful, managing around a 2 hour flight, passing over Hamilton and Lanark before landing in Hawick. His second ascent from Glasgow, a couple of weeks later did not go so smoothly. A local character, called 'Lothian Tam' managed to get entangled in the ropes as the balloon ascended. Tam was lifted almost 20 feet before being cut loose and falling, with apparently no serious injury. This flight ended after just 20 minutes, with the Grand Balloon landing in Campsie Glen, a little over 10 miles from Glasgow. Let's move on to Percy Pilcher (1867-1899). At the age of 13, Percy became a Royal Navy cadet. Fast forward to 1887 and he moved to Glasgow to become an apprentice with the shipbuilders Randolph, Elder and Company, where he became legendary for his ideas. By 1890, he had moved to London and is attending University College, London. In 1891 Percy returned to Glasgow as an assistant to Glasgow University's newly appointed John Elder Professor of Naval Architecture, John Biles. This is a good job for Percy as it enables him to have time to explore his fascination of flying. He took a flat in Byres Road, along with his sister Ella, who supported Percy in his endeavours of inventing and model making. She also helped him run up material for his gliders on her sewing machine. For the next eight years Percy studied gliders and planes, and corresponds with other pioneers, like Hiram Maxim, who invented many things, from the mousetrap to the "Captive Flying Machine" (still operating in Blackpool) and Otto Lilienthal. Percy contacted Otto Lilienthal and went to visit him to discuss Otto's famous gliding experiments, learning much from his well documented and famous gliding experiments. Percy built four gliders - the Bat, the Beetle, the Gull and the Hawk. The Hawk is the most famous of gliders, but the first one to fly was the Bat, which was tested at Cardross in 1895. After several attempts, the Bat took it's first tentative flight and Percy became the first person in the United Kingdom to make an unpowered flight. In the late summer of 1896, Pilcher regularly flew "The Hawk" from both sides of the hill at Upper Austin Lodge, near Eynsford, Kent. In June 1897, Pilcher gave his first public demonstration. A line was pulled by 3 boys, and the Hawk attained a height of around 70 feet before the line broke. He descended safely into the valley, achieving a glide of between 150 and 250 yards. On the same day, Percy's cousin, Dorothy Pilcher also flew the Hawk, most likely being the first recorded instance of a woman flying in a heavier-than-air aircraft. Glen showed us a very interesting short piece of film made from still photographs of this historic day. Percy was also in contact with Octave Chanute, another pioneer who was dedicated to the pursuit of aviation. Both Otto Lilienthal and Octave Chanute encouraged Percy to further his research and fulfil his goal of flying a heavier-than-air powered aircraft. Over the next two years, he modified his glider designs, and believed he had answered the questions of how to control a powered aircraft. He had expanded to three wings, with a 4 h.p. engine, driving two propellers. In late Summer 1899, Percy took his unflown triplane, and his glider, the Hawk to Stanford Park, Rugby. The weather was bad, so he was forced to postpone his attempt to become the first man to make a powered flight. The crowd were unsettled and had turned up to see a show. In order to appease them he flew the Hawk instead. Percy reached a height of nearly 30 feet when the wire in the tail snapped, he crashed to the ground and died, a few days later, aged 33. There is a monument to him near Stanford Hall, at the point where his glider crashed. Did he really fail! In 2003 research was carried out at Cranfield University, commissioned by the BBC2 television series Horizion. A replica triplane was built to try and show that Percy's design was more or less workable. A few adjustments were made to the original plans, adopting a wing-warping system similar to that used by the Wright Brothers and increasing the wing area to augment the primitive control system. After a couple of not so successful attempts by pilot, Bill Brooks, it flew a few feet off the ground for 1 minute and 25 seconds, overtaking the Wright Brothers record of 75 seconds. No one can be sure that Pilcher would have made the few adjustments, but he truly was a remarkable individual. If his life hadn't been cut short, if he had lived and been able to develop his engine, it is possible he would have succeeded in being the first to fly a heavier-than-air powered aircraft. The next Scottish aviation heroes were the Barnwell Brothers, Harold and Frank. Born in Kent, but moved at a very young age to Balfron, Stirlingshire. Grampian Engineering and Motor Company Ltd. This would allow them the funding and premises to pursue their passion for aviation. December 1908, after some adjustments, they had completed building a monoplane that reached a speed of 25 mph on the ground but did not have the power to lift off. The next plane was the Barnwell Biplane, which Harold succeeded in flying for 80 yards on 8th July 1909 (the first powered flight in Scotland), but the machine was damaged in landing. After repairs and modifications, further trials were carried out on 8th September. A height of 25 feet was reached before the plane was damaged beyond repair on the 10th September. The final plane was designed by Harold alone. He made the longest flight of any Scottish pilot to that date on the 14th January 1911 at Causewayhead. He followed this on 30th January 1911 with a flight reaching a height of 200 feet, but damaged the plane on landing. The J.R.K. Law Prize of £50 was awarded by the Scottish Aeronautical Society for the flight of 14th January being 600 yards at a height of 50ft and 30th January being a distance of 1 mile in 11 minute 2 2/3 seconds. The damaged plane was repaired, and the last reported flights took place at Cambussdrennie Farm, Blair Drummond on 16th August and 13th October 1911. It was probably natural that the great Beardmore and Company, Clydebank should decide to move into aviation in 1913. The plan was for aircraft to be built at the Dalmuir works and engines at Heathfield. For aircraft, Beardmore acquired the UK rights for machines from D.F.W. (Deutsche Flugzeug-Werke, or German Aircraft works). A D.F.W. B2 and Arrow biplane were brought over from Germany. The Arrow was to have been the subject of a licence agreement between D.F.W. and Beardmore, with an intended purpose built factory for this in Richmond, Surrey. 'Seaplane Circuit of Britain' Race of 1914 were cancelled. The factory at Richmond may not have materialised, but in 1914 an airfield was built at Dalmuir and the first order from the Admiralty for 24 B.E.2C was received and Nieuport 12 (under licence). Records show that B.E.2C shot down Zeppelin over British soil. 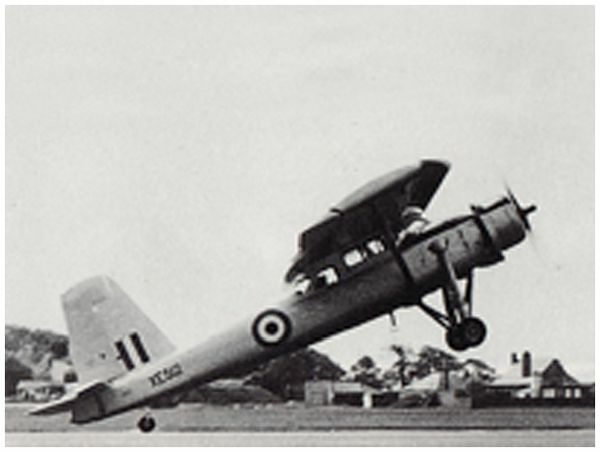 Beardmore designed and built their own aeroplanes, as well as under licence. The W.B.1, W.B.II, W.B.III, W.B.IV, and W.B.V during the war. Not only did Beardmore build aircraft, they produced engines, and by the end of the war 636 aircraft had been built at Dalmuir. With the cancellation of military contracts at the end of the war, production at Dalmuir effectively ceased. In 1924 the Beardmore works at Dalmuir were re-opened after the Air Ministry gave a contract to Beardmore for the design and construction of an experimental aircraft. Between 1924 several aircraft were developed, among them the Wee Bee (ultra-light), W.B.XXV, W.B.XXVI (biplane fighter), Inverness (reconnaissance flying boat) and Inflexible in 1928. On 23rd September 1916, an event took place that would change the course of the design of British airships (R33 class was in the design stage). 3 Zeppelins dropped bombs over London that day. One L33 was hit by anti-aircraft fire. The crew set fire to it, but there was still enough of the L33 left for it to carefully examined in order to observe the Germans' design and engineering secrets. The R33 was constructed by Armstrong-Whitworth at Barlow, and the R34 by Beardmore and Company at Inchinnan. Construction began in 1918 and completed in March 1919. By the time H.M.A.R34 was completed and ready for her test flights, the war was over and she was too late for active service. On the 14th March 1919, she had an uneventful maiden flight from Inchinnan, round Glasgow and was then returned safely to her shed. On 24th March, she left Inchinnan for a more extended trial. There was a problem during the trial and she was nursed home with some damage to her propellors, which caused the airship to be laid up for repairs. On the 28th May she left Inchinnan for her new home at the main airship base at East Fortune, arriving the next afternoon. On the 17th June, the R34 left East Fortune for an endurance test over the Baltic, Denmark, Norway and Sweden, and arrived back on 20th June after a trip of some 54 hours. It was decided to attempt the first return Atlantic crossing in an airship. The R34 left East Fortune on the 2nd July 1919 and arrived at Mineola, Long Island on 6th July. As the landing party had no experience of handling large airships, Major Pritchard jumped by parachute and became the first person to arrive in America by air. The R34 had crossed the Atlantic in 108 hours. This was the first East-West crossing of an airship and became the world endurance breaking record, a record that still stands. She stayed in America for 3 days, before returning home on 10th July, diverted to RNAS Pulham. Beardmores as an airliner to carry passengers, with 16 tonnes of lift and double cabins to accommodate 50 passengers. Sadly, after suffering damage during trials, and only making one commercial flight she was consigned to a hangar and eventually scrapped in 1926. Winifred Drinkwater made aviation history in 1930 by becoming Scotland's youngest pilot at the age of 17, and the worlds first female commercial pilot when she was 19. In September 1932 she was awarded the Scottish Flying Club trophy for landing. And, in October 1932 at Renfrew Aerodrome, she won one of the Club's cups for air racing. She met her husband, Francis Short, the director of Short Brothers aeroplane manufacturer, at Renfrew Aerodrome, whilst dismantling an engine, wearing dungarees and covered in grease. They were apparently engaged within four hours and married secretly in Dumfries, two weeks later. If you visit Clyde View Park, Braehead you will see her monument. Another Scottish aviator of note was James Mollison, born in 1905. He joined the RAF and obtained his Short Service Commission at 18, which made him the youngest officer in the service. He was a highly skilled pilot and set many records. July/ August 1931 he set a record time of 8 days, 19 hours for a flight from Australia to England, and in March 1932, a record for flying from England to South Africa in 4 days, 17 hours. Glen told us that he had hoped to give us a Scottish history of flight up until the present day, including the Prestwick Pioneer but he was going to leave it there. Glen hoped we found it as interesting as he does and invited members to ask him questions. Q That was a very interesting and informative talk, Glen. How many experiments did Pilcher conduct? A There's no record, but if you think of him sitting in his flat in Byres Road, surrounded by all his workings and drawings, there must have been thousands. Q Where was the accommodation on the airships, and how big in relation to this room? A In the R36, it was pretty luxurious. There were 2 berth cabins arranged along the sides of the car, and entry was via the nose of the ship. Q I was interested in the part of Beardmore during the First World War. What happened? A You would need to ask the financiers and politicians that question. Q It is perhaps significant and due to cost, that the likes of Singer Sewing Machines, Clydebank stopped producing in Scotland? A It has been said about just how scary it is to think that these things that are put out to tender, are built by the lowest bidder. Q Has anybody put a compilation into a book on Scottish contribution to aviation? A "A New Icarus" written by the Director of Smithsonian on Percy Pilcher. Vote of Thanks: OGC member, Cameron Low told us that it was his pleasant duty to thank Glen for giving us an informative and entertaining insight into early Scottish Aviation. Next Directors Meeting - Thursday 6th April, 6.15pm at Hutchesons Grammar School, Beaton Road. Welcome: Mr Little welcomed members and visitors to the April meeting. Mr Little reminded members that if they had an email address that the club minutes could be sent to them electronically, enabling members to read the minutes before coming to the meeting. Members were also advised that our Membership Secretary, Niall, had the membership and AGM papers ready to be picked up from the desk tonight on their way out, if they hadn't already done so on the way in. Apologies: There were apologies from Isabel Haddow, Bill Crawford, Gaynor MacKinnon, Jane Collie, Glen Collie and Brian D. Henderson. Minutes: The minutes of the last ordinary meeting, held on 9th March were approved and proposed by Sam Gordon and seconded by Anne White. President's Report: Mr Little showed us a photograph of the last tram procession coming out of Ruby Street in 1962. The photograph will be scanned and put on the Club's website. Members were reminded that the Club Quiz had been reinstated, and tonight's question was to guess which building was being shown in the photograph. Answers were drawn at the end of the meeting. AGM: THe Club's AGM is at Glasgow City Chambers, Thursday 11th May at 7.00pm. Members were advised that it is a 7.00pm start, and not 7.30pm like the OGC ordinary meeting. Entrance to the City Chambers is from Cochrance Street. Please remember to bring you Membership Card along with you. J.A.S. 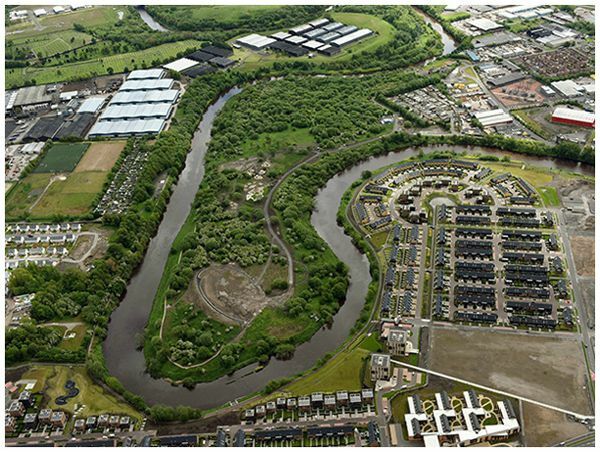 Memorial Walk, Thursday 18th May: "The Cunningar Loop", Dalmarnock is the destination for this years walk. James Winnett who spoke to us at the October meeting of this session will be leading the walk. The Cunningar Loop is easy to get to, with parking places outside the Loop, a bus stop at the end of the road and two nearby train stations (Rutherglen and Dalmarnock). Please be there for 6.15pm. Tappit Hen Bowling Tournament, Thursday 1st June: This bi-annual event is taking place at Kelvingrove Bowling Green with optional refreshments and pizza/ pasta at Baffo Pizza & Birra 1377 Argyle Street. It's a fun night, and you don't have to be a bowler to join in, spectators are welcome too. It's free to play on the greens. Names are being taken at the front desk. There is an optional High Tea booked for 5.00pm at The Stag Hotel, High Street, Moffat. The cost is £8.95. Names and menu choices are being taken by Shona at the coffee/ tea table. Coach pick up points will be Mount Florida Bowling Club at 9.30am and Cochrane Street at 10.00am. Secretary's Report: Mrs McNae advised us about events and happenings of interest in and around Glasgow for April, and beyond. September "Remember Mary Barbour" Maria Fyfe and Catriona Burness. October "The Cunningar Loop" James Winnet. November "The History of Watt Brothers" Peter Samson. April "Dennistoun" Brian & Ruth Johnston. "Burrell at Kelvingrove: Joesph Crawhall" runs until July 20177 and "Frank Quitely: The Art of Comics" started on 1st April, and runs until 1st October. Tesco Bags for Help Initiative is running until the end of April. "Friends of Glasgow Necropolis" would appreciate your vote if you shop at Tesco, and live north of the River Clyde. They are one of the groups on the shortlist and are raising funds for path improvements within the Glasgow Necropolis. Voting is open in stores until the end of this month. Customers will cast their vote using a token given to them at the check-out each time they shop. The new "Clydeside Distillery" is due to open later on this Summer. "In the heart of the city of Glasgow The Pumphouse on the River Clyde is home to The Clydeside Distillery - a distinctive single malt Scotch whisky distillery and visitor experience." Speaker: Mr Little introduced the main speaker of the evening, Ruth Johnstone. "She is involved in the Conservation Society which helps preserve the buildings and streets of Dennistoun. Lots of famous people went to Whitehill Secondary, Dorothy Paul, Jack House and myself." Ruth wished everyone a good evening and thanked members and guests for coming along to the talk. Dennistoun Conservation Society was established 10 years ago with an aim of raising awareness of the importance and history of Dennistoun, and to encourage sharing of information and ideas to help maintain a sense of community. To inform residents of their rights and responsibilities when maintaining their homes and gardens. And, also to apply for grants to help improve the area. The Society has quarterly meetings, like the OGC, always on a Thursday, Dennistoun Day to celebrate Alexander Dennistoun's birthday, and we have guided walks in August and September. We were told about the evolution of Dennistoun. James Dennistoun(1753-1835) who left Campsie with half a shilling in his pocket and ended up with a successful spread of wide interests. Major partner in the Glasgow Bank, interest in a textile firm, and shares in the profitable Glasgow West India Merchants. Married with eight children, he took up residence in the area when he bought the estate of Golfhill in 1802 ( what is now the Necropolis, Whitehill, Meadowpark, Annfield) from the trustees of the previous owner, John Anderson. He immediately commenced having Golfhill House built. The main man, Alexander Dennistoun born 1790, eldest son of James inherited the house and estate when his father died in 1835. Alexander moved into Golfhill along with his family but little is heard of him for the next fifteen or so years. In that time he was Managing Director of the family shipping business and an elected Liberal Member of Parliament for North Dumbarton in 1834. However he resigned his seat when he found that Parliamentary life was not to his liking. After the death of his wife in 1847, he alternated between Golfhill in Glasgow and Lagarie at Gareloch. In 1850 he bought the Craigpark estate from the previous owner's trustees, making him a near neighbour of John Reid who lived at Whitehill House. John Reid, successful local business man, also born in 1790, and a contemporary of Alexander Dennistoun, also started buying property in the area with a view to developing the area for housing and calling it Reidstown. His first buy was Annfield House in 1832 followed by Bellfield, Whitehill and lastly Meadowpark. John Reid died suddenly at Whitehill House in 1952, leaving behind 18 dozen bottles of wine, a sparse will, and the legacy of Reidvale Street which was in the process of being built at the time of his death. With a vision to build a residential suburb, Alexander Dennistoun bought John Reid's estates and employed the eminent local architect and Glasgow Councillor, John Salmon to prepare a plan for the subdivision of the site, an area of around 200 acres. "Salmon's grandiose plan aimed to provide elegant terraces, cottages and villas located within a pleasant and carefully safeguarded semi-rural environment and all at a moderate rent and price". Dennistoun's new suburb was advertised in 1857, singing the praises of the self-contained houses, wide streets and parks. It was not the great success hoped for as there was stiff competition from rival developments south of the river and the west end of Glasgow. It was also severely disadvantaged by being on the prevailing winds of the city's smoke and grime. Building work started in the 1860's, on a diminished scale bearing little relationship to Salmon's original plan. Salmon moved into one of the grander villas to the north of the site. "The development began with Annfield Place and was followed by Fern Villa (19 Westercraigs) and villas, terraces and communal gardens which now form the Conservation Area of Dennistoun". 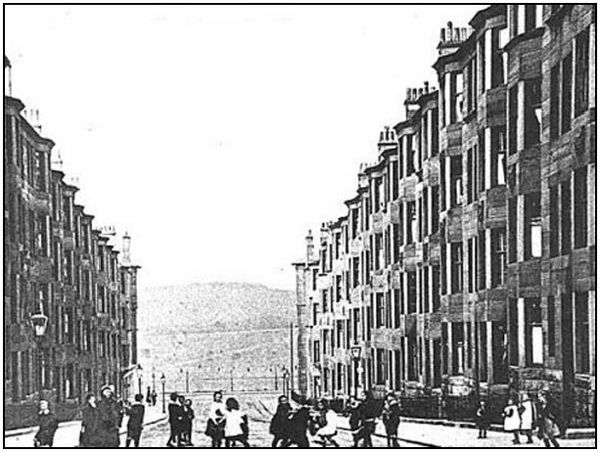 Work ceased for a while upon the death of Alexander Dennistoun "and by the 1870's the remainder of the estates which form Dennistoun were developed with tenement buildings, schools and churches with many of the streets named after the Dennistoun family". 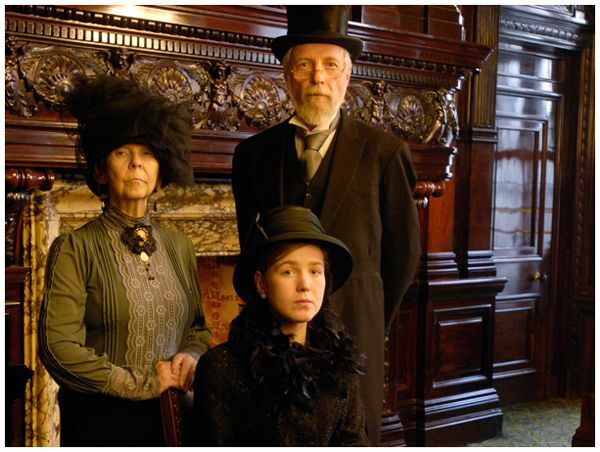 Unfortunately the Conservation Society doesn't have the Dennistoun family papers, which are currently in the ownership of the Macpherson-Grant's at Ballindalloch Castle. The Society have been in contact, and the discussion is ongoing. Ruth's talk was interspersed with fabulous images of the people and buildings of Dennistoun. There were images of Dennistoun Palais, Blackfriars Church, close tiles, Regent Place Church, Whitehill School, Highfield House stained glass, 33 Circus Drive, Duke Street Post Office, Buffalo Bill's Wild West Show, Charging Thunder (who ended up in Barlinie Prison), Eastern District Hospital, King's Cross to Bellgrove Street, Villas in Westercraigs, Fern Villa, Oakley Terrace, Craigpark entrance to name a few. Ruth finished off her talk by telling us that the Dennistoun Conservation area, after having a difficult time in the 1950's and 1960's is being redressed by the plans that Conservation Society have for the area. One of which is bringing many more of the drives under the conservation area. Mr Little thanked Ruth for a wonderful talk and trip down memory lane, and invited members and guests to ask Ruth questions. Q I remember a teacher called Sandy at Whitehill Secondary School. Her husband was in a folk band called The Clydesiders. Funny what you remember. A I know that Lulu grew up in Garfield Street as my husband delivered milk to the family. the world. My daughter attended Westercraigs Nursery School and then Alexander Parade Primary School. Thanks for the memories. A There's seems to be lots of people with very fond memories of Dennistoun. Q I saw a book last week, it had a photograph of a flooded Meadowpark Street. Can you remember when that was? A No, I have no idea when the flood was in Meadowpark Street. Of course the existing Victorian drainage system is inadequate to cope with major rainfall, and it sits in a natural valley. Q What would the junction be called today where the East End Exhibition was. A Whitehill School and the new Dennistoun Village are on top of the site. There's also a very odd statue of Buffalo Bill sitting on the site of East End Exhibition Centre also. Q You had some photographs of the Eastern District Hospital which is currently boarded up. Do you know what's happening with it? A It's owned by the Loretto Housing Association Ltd, and I believe that along with asbestos there's been some engineering and structural problems. Q Do you know if there are any plans for the baths in Whitevale Street? A Yes, there's plans for flats there. We were at a meeting regarding what they were doing. The only thing I know for sure is that the developers have to keep the facade, the rest I have no idea. Q Was there a women's prison there? A Duke Street Prison was a prison for both men and women but latterly was a women's prison. Q You mentioned Eastern District Hospital, I remember it as Duke Street Hospital. A lot of people may remember the archway into it. There was an incident with the archway and the fire brigade. The archway had to be redeveloped. A Yes, the archway was too small for the fire engine to get through, so they had to knock part of it down. Q I wanted to know if you were producing a book? With all these maps, I think you should. A Yes, we should, shouldn't we. We had produced a booklet which I have brought along tonight. Maybe that will be a project for the future. Q Whitevale Bowling Green dates from 1836. What was originally thought to be the first one in the area? A There was a bowling green at Annfield Street. They say that they are the first one in the City, but maybe not in the place they are now, Whitehill Street. Q Did you have any input into The Rendezvous Cafe? A No, nobody asked us for any input. Q A friend of mine lived at 146 Onslow Drive. There were heavy doors, and behind each door was a different scene from each season. It was really lovely! A I'd love to see those photographs if you have any, or your friend has any. Q My late father-in-law was the Superintendent at the private baths, he died in 1948. A Yes, it's still standing. It's not all standing but it is used as a snooker club now. The original building has mermaids carved on the outside, which gives us a good indication of the buildings original use. Vote of Thanks: This evenings vote of thanks was given by Past Club President, Alison Sannachan. "Ruth, it is lovely to see you and your husband Brian back. Lots of people may remember when you were members here. Thank you for a fabulous talk, and it's great to think that the East End of Glasgow has a conservation area. I hope you are successful in your funding to get the papers back from Ballindalloch Castle. On behalf of the club, thank you once again". AOCB: Stuart told us that the answer to the quiz was The Royal Bank of Scotland in St Enoch Square. The winner was J. Whitelaw. Next Directors Meeting - Thursday 4th May, 6.15pm at Hutchesons Grammar School, Beaton Road. Next Ordinary Meeting/ AGM - Thursday 11th May, 7.00pm start at Glasgow City Chambers. There were 44 members in attendance. safety announcement and requested that all mobile phones to be silenced or switched off. Iain Henderson and seconded by Gavin McNae. There were no amendments. propose this motion. The motion was approved and carried forward. Minister, and, now we have a new Prime Minister and a General Election to follow again! it has now been valued for insurance purposes at £15,000. Mrs Joyce McNae told us that we should all have an AGM pack containing the Minutes of the 2016 AGM, Hon. Syllabus for the 2017 - 2018 session. The club membership stands at 127 for the 2016-2017 session, this number includes 9 life members. to ask any questions relating to the accounts. at the AGM and other formal occasions. The less valuable chain is the one he wears at the ordinary meetings. The accounts were found to be in good order and had been examined by Jim Gibson and Gillian McGugan. The adoption of the report was proposed by Sam Gordon and seconded by Rosemary Sannachan. Mrs Anna Forrest’s Librarian Report circulated at the 2015 AGM still stands. office bearers, Mr Brian D. Henderson is going to give a few words. Stuart to us, as President, for a further year. Mr Henderson congratulated Stuart, and Mr Little proceeded with the election of office bearers..
talk will be taken by James Winnett, who earlier in the session gave us a talk on the Cunningar Loop. to bowlers, and non-bowlers/ spectators alike, the emphasis is on fun. Museum. The bowling part of the evening is free - cost of supper should be paid directly to the restaurant. will be returning to Glasgow at approximately 8.00pm. immensely over his years of service to us in the past. huge effort and a lot of work. along to any over the Club outings in May and June.